First impressions count! 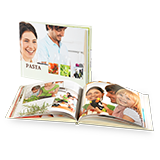 Start by taking high resolution photographs of where your business takes place and add important facts and figures to your Pixum Photo Book, giving your customers an insight into your business and your range of products, all the while creating a professional impression. Add introductions of of various departments and employees or projects and products to help your customers understand the workings of your business better. 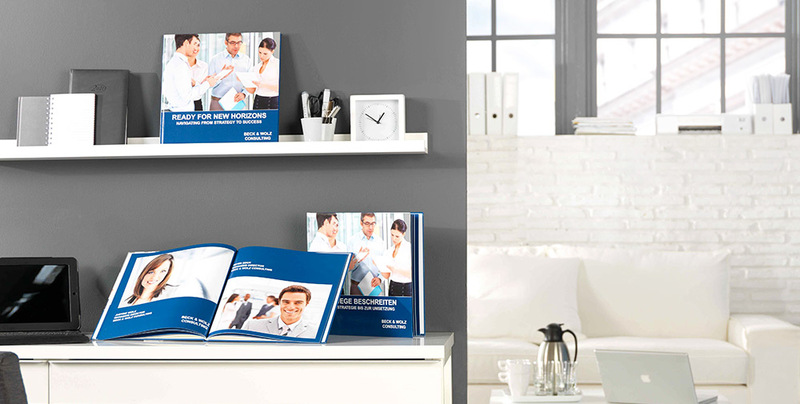 Choose matt photo paper when creating your book for presenting your business as it offers both durability and resistance to picking up dirt and finger prints, making it ideal at exhibitions and trade fairs. Use our free Pixum Photo Book Software to create your brochure, with a range of designs, formats and paper types allowing you to tailor your brochure to your target audience.